Resin pinnacle bass fishing trophy. 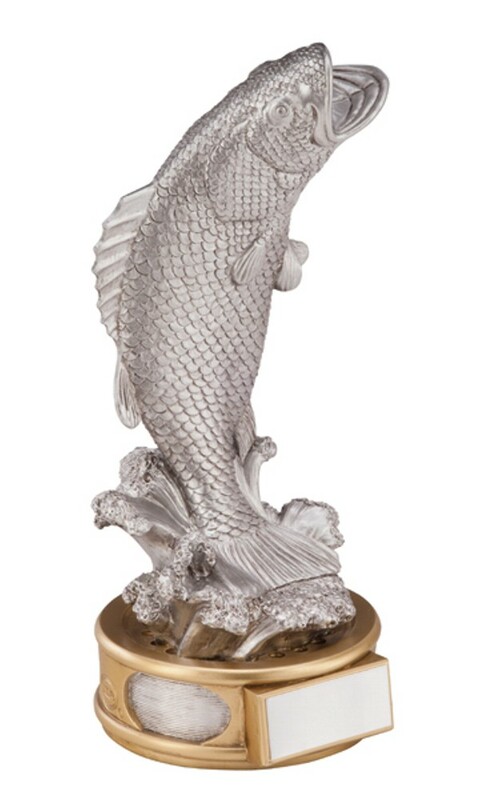 180mm high silver coloured fish with a gold highlighted base. A great solid resin fishing award.